Pete Santilli’s attorney dropped a bombshell in a Las Vegas courtroom today when he stated that his client has reached a plea agreement with the government. Chris Rasmussen, Santilli’s attorney, also withdrew every motion their team has filed based on the plea deal. The agreement includes Santilli agreeing to a Felony count of obstruction of justice, based on his blocking a BLM truck prior to the Bunkerville standoff. Santilli will receive ‘time served’ and is expected to be released within the next few days. No other details have been released for this deal. Defense teams are scrambling to preserve Santilli’s motions and subpoenas related to the upcoming trial, as it is scheduled for jury selection to begin next week. In related events, Ryan Payne has withdrawn his request to represent himself at the upcoming trial. Payne originally filed a late night motion to represent himself due to his disagreement with his court-appointed attorneys attempt to sever his case from that of Ryan Bundy. Attorneys for Eric Parker and Scott Drexler had joined Payne’s attorneys in that motion. Ryan Bundy and his brother Ammon were not at the hearing today. They did not participate in the ‘strip search’ before leaving the Pahrump facilities. Additionally, they did not take part in the hearing via telephone. We were told that they had the phones made available to them, yet they chose not to participate in this manner. 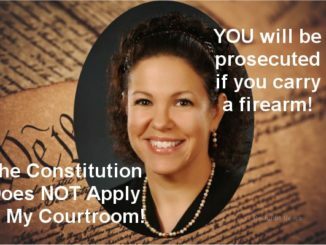 A Faretta hearing had been scheduled today for Ryan Bundy, in which it would be determined if he was competent to represent himself in this case. That hearing was rescheduled for Friday, Oct. 6th. Judge Gloria Navarro made it clear today that if these two defendants were not in attendance, either in person or by telephone, she would take that as a waiving of their rights. Navarro would expect to rule that Ryan would not be allowed to represent himself as he will be showing that he cannot follow the rules of the court. 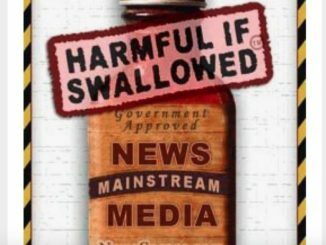 Did MSM Go Too Far in Finicum Shooting Story? I Stand with the Bundy’s. 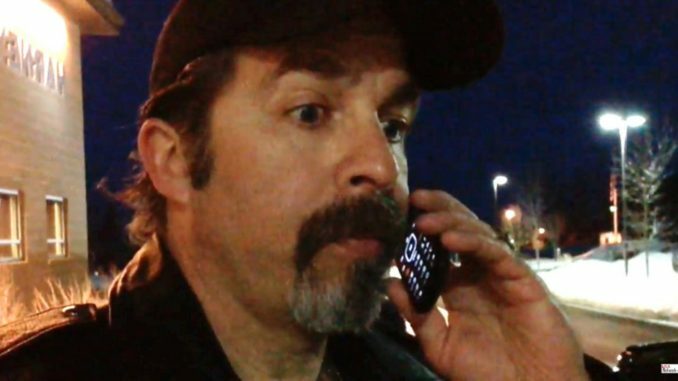 So where does Santilli’s plea leave the Bundy family and those determined to fight ? “Scrambling to preserve the motions and supoenas related to the upcoming trial”. How must Santilli’s associates feel ? But there is no time for recriminations now. We will fight on, without him. How can he used “time served”? Hasn’t the judge said that they are being held not as punishment but as a regulatory hold or some such bologny? Shawn, very good point. The government can’t have it both ways. On one hand, they can’t say that the pretrial detention was not punishment, it is regulation but on the other hand, he has already been punished for his felony through time served. This, my fellow citizens, is the lunacy and insanity known as government abuse. Loren Pearce, You are right AND wrong. The federal government can say and do whatever they please, and it doesn’t have to make sense. It just has to fit their agenda at the moment. And yes, it does fit in as government abuse. It’s our job to let the unsuspecting people know that, and that they realize the truth. What happened to innocent until proven guilty?!!! All of these people need to be free until they are proven guilty as the courts are having a really hard time proving that because it`s not true!! They are innocent political prisoners!! FREE THE BUNDYS NOW!!! Pete will become the governments worst enemy and I think they know that. He requires a presidential pardon with the rest of the ranchers. Rules of the court? Those are ethics for the BAR, The pro- se has no obligations to follow any private BAR Member Rules, what is with these persons? They need to be Deported back to England for breaching their 1947 Treaty they agreed upon to operate on this soil. The world knows they have not broken any Laws, and the world knows that the BAR is just a Criminal Organization. GOING ON TWO YEARS. THIS NAVARRO CRAP HAS BEEN GOING ON ATTEMPTING TO BREAK AMERICANS STANDING FOR THE CONSTITUTION. I STILL INSIST WHERE THE HELL IS PRESIDENT TRUMP AND SESSIONS? SILENCE FROM THE WH. Read the dialoge between Judge Jeanine and Jason Chaffetz on Diana West’s blog Death of the Grownup. Sessions won’t prosecute anyone………….he’s compromised…don’t count on him. Also, the forum Diana West/Sebastian Gorka; others “Judicial Watch Exposes the Deep State (youtube) gives the reasons……….the gubmit has been hijacked long ago. Break Americans standing for the constitution? These fanatical idiots drive to nevada to “support” a man who refuses to honor a legally binding contract with the BLM, refuses to pay, refuses to acknowledge the U.S. Government even though he signed a contract with them, and claims his land is “ancestral” even though he bought it in 1948 from a rancher. What, exactly, is being violated here? Mr. Strayer, I would love to hear how you found this information. Mr. Bundy never signed a contract with the BLM. He did not refuse to pay grazing fees, he actually paid them and they were returned to him. The Federal government keeps perpetuating this lie, yet will they tell you they refuse to send him a bill? They will not tell him how much he supposedly “owes”. You are watching too much of the MSM and their agenda-media. 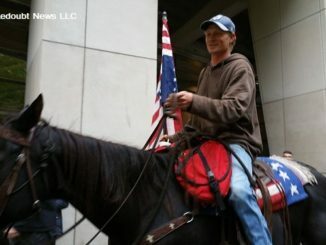 Mr Strayer : I’m one of those “Fanatical idiots” – a Bundy Ranch, Sugar Pine and Malhure vet,and one of the seven tried -and acquitted – along with Ammon and Ryan in Portland. As one so deeply involved in this fight, hearing from those who weren’t there but know all about it is a wonder. It’s silly of me, but I have a habit of putting events in a historic context, and in regard to this lands fight, I can’t help but refer to a quote from the Declaration of Independence. It’s one of the complaints the colonies had against the British Govt, here goes…”They have erected a multitude of offices, and sent hither swarms of agents to harass us and eat out our substance” Sound familiar ? At any rate, you cross the formidable Ms Dovale at your peril, as you have seen. Although we welcome all civil discourse, we are not keyboard warriors. See you at the Vegas Courthouse, Oct 30…….. Welcome to the Great United Soviet Socialist Satanic Stasi States of Amerika, Komrades! These guys do time and Hitlery walks the streets free. What a sham of justice. So sad they have broken Pete. The jail time, continual emotional abuse, the financial costs must have driven him to agree to the Plea. The government wants to be able to use him for leverage, and as an example. I won’t armchair quarterback Mr. Santilli’s decision; I’ve seen prosecutorial misconduct up close. I once knew a woman who may have been falsely accused. It doesn’t really matter if she was guilty or not, as it never went to trial. Prosecutors at all levels have learned that it is much more cost effective to avoid trial. Why do all the work to establish the merits of a case, when intimidation and financial harrassment of the defendant are so much more effective? Long story short, that woman was finally faced with either a plea deal, or loss of her job and the threat of having her son placed in the foster care system, with the prospect of a long fight to get him out IF she could win her case first. She did what she had to do to protect her child. This is how our system now operates. While still needed, Presidential pardons will no longer undo the damage. The deep state still desires to make examples of the Bundys, but they’ve claimed the real prize; the government now has the defacto power to decide who is, and who is not, a journalist in any given situation. Who will be allowed the privilege to report and speak out, and who is “interfering” in state business. I predict that authorities at all levels will waste no time in applying and expanding this new power. Reading the official notice for the Santilli deal issued by the US Attorney’s office ( It’s on the Valley Forge Network site ) is appalling. for me at least, it would be a clear choice between death or dishonor. (What an antiquated concept! After all, this is just a kids game we are playing,right ?) What kind of life could a person have after deserting the fight and knuckling under to a despicable hack like Myhre ? “But at least Pete hasn’t turned state’s evidence” But he has ! He has given endorsement to the Govt’s conspiracy ficton and has named the Bundys as co-conspirators. But the Feds are not done with Santilli yet….the sentencing is yet to come ! BEFORE the actual sentence is handed down,Pete will have to stand before the judge and recant like an accused in the inquisition, denying everything he believes in and performing like a puppet on a string. You are welcome to it folks……….. I agree with you Neil!! Just unbelievable!!! This can only damage the Bundy’s case!! Kidnapping and then preventing Americans from attending their own pre-trial hearings is demonstrating corruption beyond anyone’s imagination. Using that corruption to “waive” Americans rights only proves Judge Gloria Navarro believes our rights are alienable.